When Android 4.0 came out, Matias Duarte, Google’s head of Android design, laid out a set of rules for ‘Holo’ style applications to go with the sweeping UI changes brought in by Ice Cream Sandwich. The guidelines have been adopted slowly, but the apps that have adopted them have risen to the top of their respective categories. One of these apps is Boid, a free Twitter client. Team Boid set out with one objective – to make the best Twitter client. It makes effective use of the space on the screen, providing a tabbed interface that covers the entirety of Twitter. 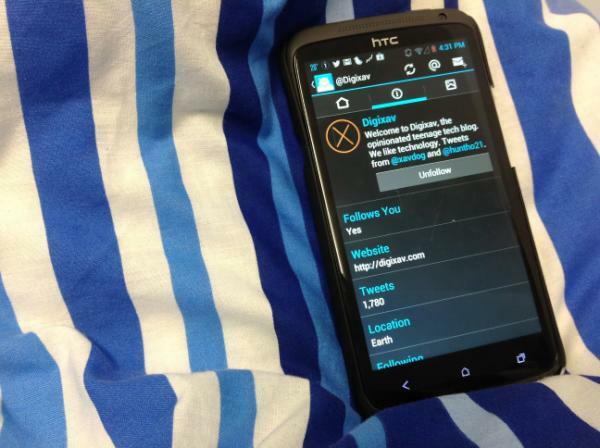 It also follows the Android design guidelines to the dot, making it a pleasure to use. The app is currently in beta, but don’t let that deter you from downloading it. The app is stable and packed full of features. The only notable omissions are autocompletion of usernames and push notifications, although both of these are planned for future releases. The team keeps users updated constantly through their Twitter account, and they have promised to push on with development (and a Chrome version) in the face of Twitter’s API changes. Boid is available on Google Play for free, and I have been assured by the team that it will stay that way, and it is ideal for casual tweeters and power users alike.